The struggle is very real when trying to beat the cold and look stylish in winter. I've become quite fond of wearing layers. It's can actually feel warmer than tossing a loose fitting puffy coat over a single layer. Also, it's a lot more fun to play around with different textures and allow your outfit to be seen. 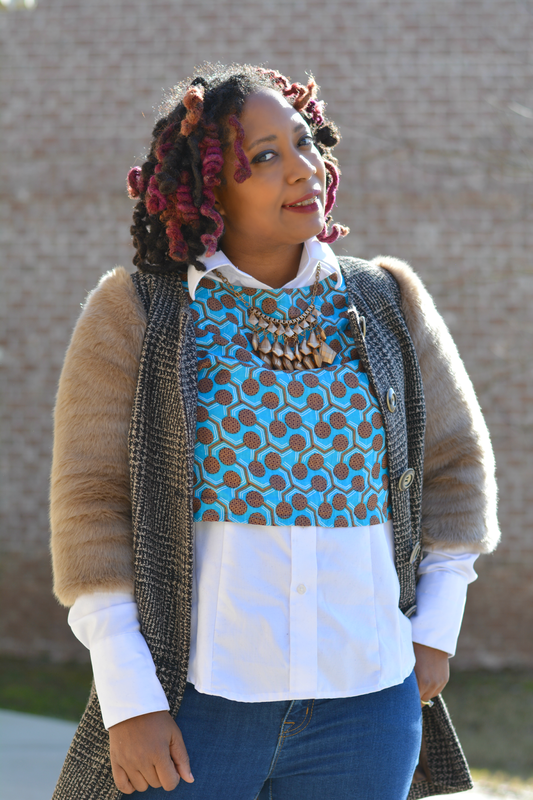 I took a lesson from Anna and winterized my diy ankara print crop top. Her style trick has opened up a whole new world for me. I like wearing summer clothes more than winter clothes. Now I can wear crop tops over shirts, turtlenecks under summer dresses, and even shorts( with tights, of course). 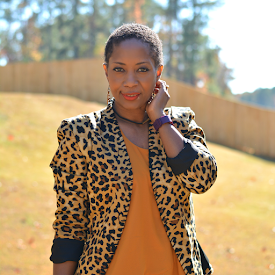 Button up shirts look great with halter style tops with thin straps or no straps at all. 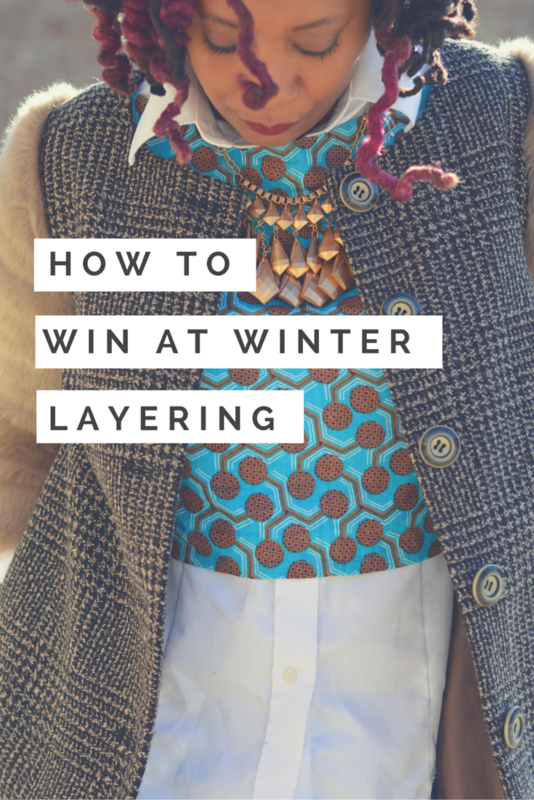 Start out with thinner layers closer to your skin for warmth. It's like wearing long underwear but prettier. 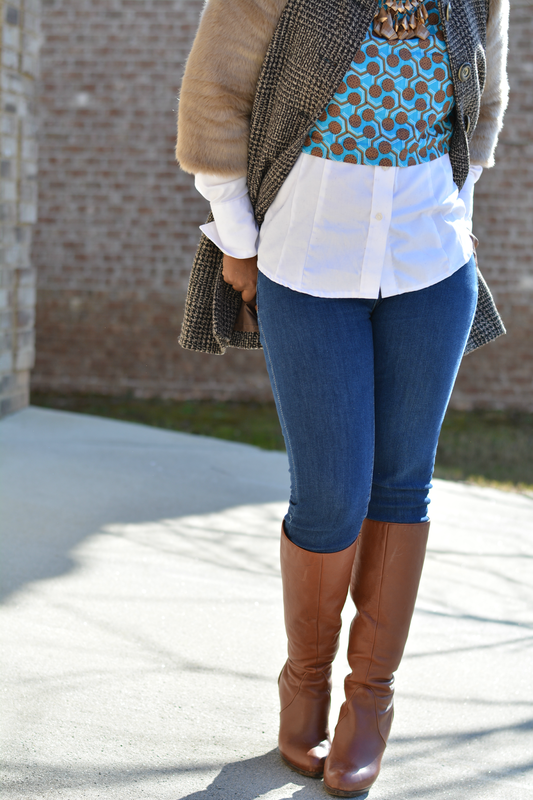 The simple white button up is from December's thrift haul. It's extremely soft and has lots of shaping darts that keep it close to my body. You can wear a turtleneck like Anna did or long sleeve tees. I have some from New York & Company that have lasted many years and were very affordable. Great for adding sleeves to the 1.7 million short sleeve t-shirts I own. 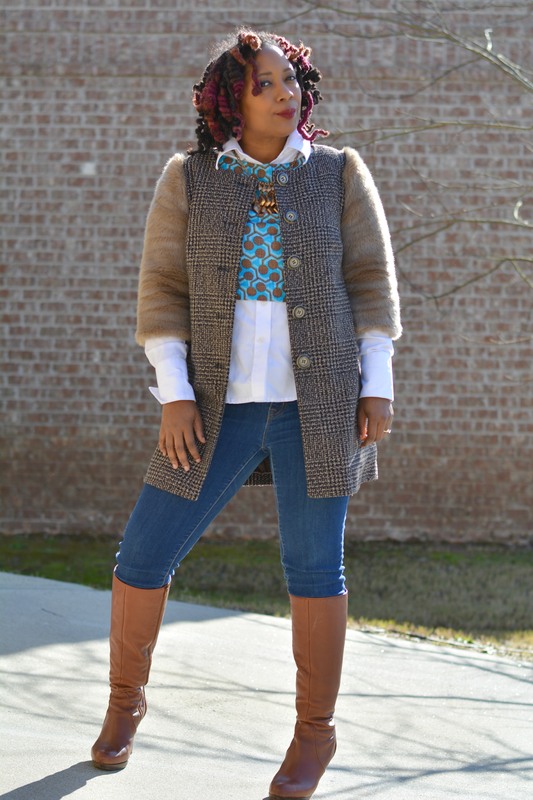 You're likely to spend a lot of time in a coat during the winter so make sure you have a cute one. I have to say that when I'm headed to the school to drop V off or pick her up, I'm usually not in this coat. I'm in my ugly but super warm car coat. When I'm headed to dim sum for brunch though, I wear a coat that goes with the outfit. 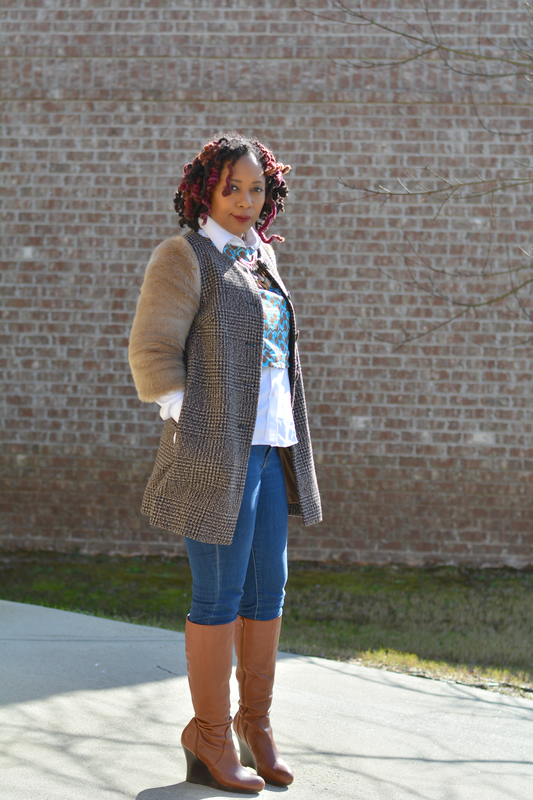 Decent warm and stylish coats can be expensive so keep costs low by purchasing coats from a thrift store. 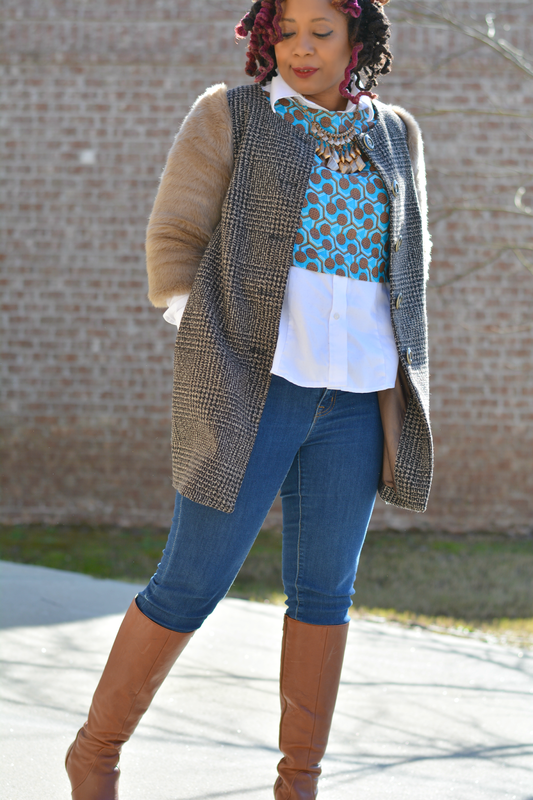 What layering tips do you have?